A controversial border treaty between Russia and Latvia has been agreed. 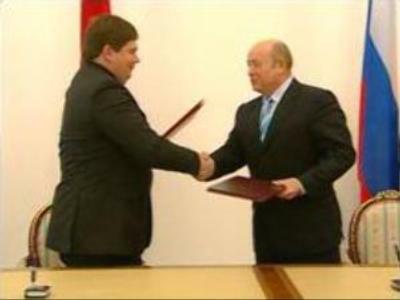 After 10 years of waiting, Latvian Prime Minister Aigars Kalvitis signed the deal with his counterpart Mikhail Fradkov in Moscow. If ratified by the Latvian Parliament, the treaty will remove a thorn in the side of Russian-Latvian relations. “This legal agreement will allow us to bring one of the difficult issues of our relationship to a close. We believe it will have a positive impact on our relations. We hope the ratification of this treaty in the Latvian Parliament will go without any surprises,” says Mikhail Fradkov, Russian Prime Minister. Latvian Prime Minister Aigars Kalvitis says Latvia has always been interested in signing the treaty. “This treaty has a 10-year-long history. Latvia has always been interested in signing it. Circumstances prevented us from doing so. Latvia has never had any territorial claims on Russia. We want a stable and pragmatic relationship with Russia and want to have a border with our neighbor,” he stated. Latvia has gone a long way toward leaving its Soviet past behind. It joined the EU three years ago, just weeks after becoming a NATO member. The two neighbors’ ties have been strained after their post-Soviet divorce. Russia has been concerned about the rights of Latvia’s Russian-speaking minority. Now, the Prime Ministers spoke without interpreters – in Russian – and vowed to work together to resolve their problems.